When I first saw a recipe for a savoury cheese pannacotta, I really wasn't sure how I felt about that concept, but as I had some feta cheese (the original recipe used goat's cheese and was way more complicated), I thought I'd give it a go. I am all for new taste experiences. I am so glad I did, as it was delicious! The saltiness of the feta went really well with the lentils and vegetables. 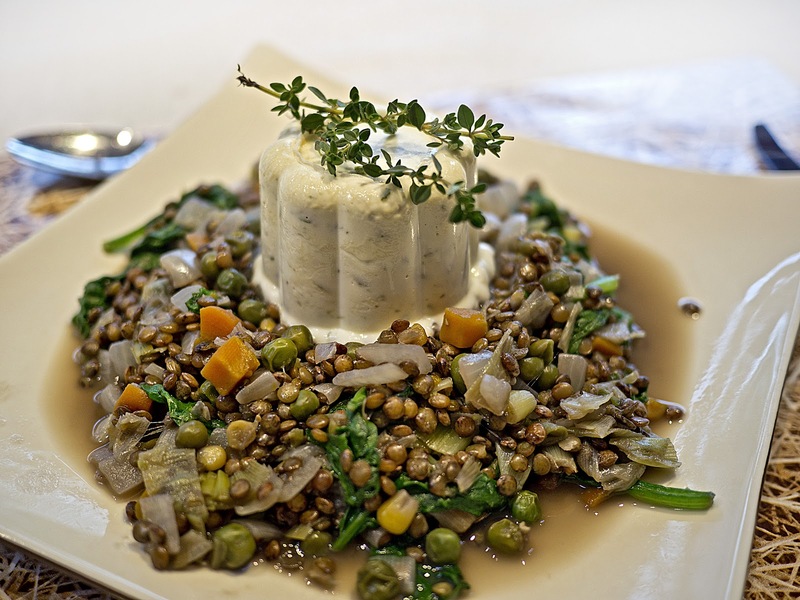 As soon as the pannacotta hits the hot lentils it starts to melt, so make sure you serve it immediately. You could also serve the whole dish cold as a salad. Melt the cheese in the microwave or on the stove. Mix the gelatine with 100ml boiling water and add the hot cheese. Stir thoroughly. Gradually mix in the yogurt until really smooth and add the herbs. Pour mixture into two individual moulds and leave in the fridge to set for at least two hours. Meanwhile, sauté the onion and leek in Fry Light for a few minutes, then add the lentils, mixed vegetables and bouillon powder with 3 cups of water. Simmer for 20-25 minutes until the lentils are cooked to your liking. Add the spinach and stir until it has wilted. 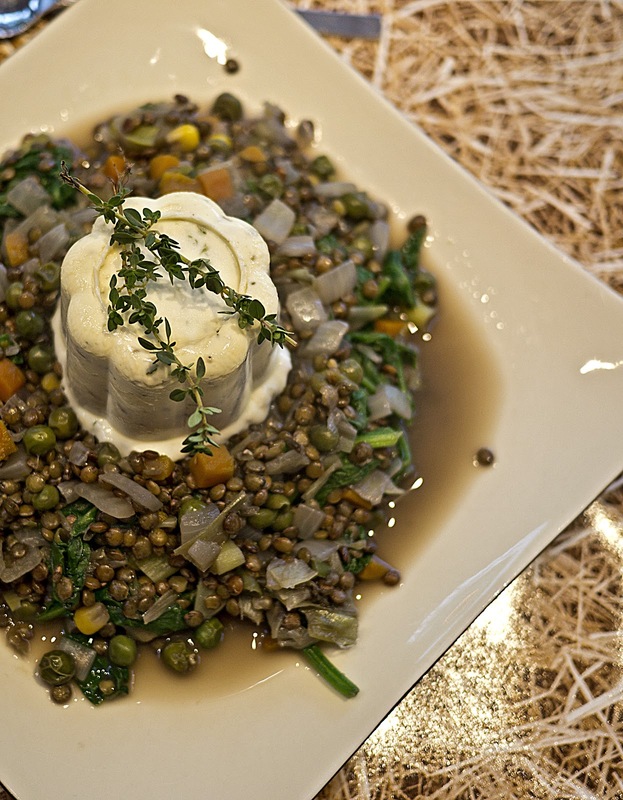 Serve the lentil and vegetable mix topped with the inverted pannacotta.